Yesterday it was announced that David Plouffe, former campaign manager for Barack Obama (among other things) was joining Uber, the taxi app, as a "campaign manager" there as well, to build out the potential of the brand. It's a good move for Plouffe. 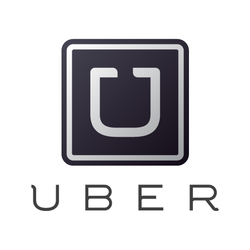 Uber was recently valued at $18 billion. That's pretty good for a taxi app. I have used Uber and I like it. A lot. Living in Manhattan, there were times, like at the notorious 4:30 shift change, when it was just about impossible to get a cab. Uber has solved this problem forever. Also, the cars are cleaner, the billing is done behind the scenes and the drivers all remarkably seem to know where they are going -- unlike many NYC cab drivers. Uber is but the latest success in the use of crowd sourcing married to an iPhone to solve a problem (and create a very valuable company in a very short period of time). The list goes on and on. And so do the zeros attached to the valuations. But all of these companies have one thing in common. They are all 100 percent driven by what we might call User Generated Content. That is, all of their "guts" are created not in an office or by employees, but by 'regular people' simply putting 'stuff' into the iPhones. Uber is no different. At the same time as these companies are reaching astronomical valuations (and more are being added all the time), older companies are fast going out of business. I am particularly concerned with the journalism business (as a graduate of Columbia University's Graduate School of Journalism). When I graduated, journalism was a hot ticket. There were lots of places to go to work. Today, there are few and even they are evaporating fast. Last week, Clay Shirky published what is pretty much the death knell for newspapers. Television news is probably 10 years behind papers, if not fewer. Most solutions I have read so far come down to the NPR model. Which is not a business, interesting though it is. I began to wonder if would be possible to use the UBER model for journalism. After all, if it is good enough to call a taxi, isn't it good enough to call up information? There are an estimated 1.4 billion smart phones in circulation around the world. Is it then not possible use these 1.4 billion phones to do more than send out tweets or order up taxis? Could we create a reversed kind of news organization -- one in which the content flows not to your smart phone, but from it? Could we enlist even a small percentage of those 1.4 billion people all over the world to put journalism into the system instead of taking it out? Could we create an Uber for news and information? A Facebook for content? An Instagram for photos of more than what we had for lunch? A world without journalism would not only be a poorer place, it would be a very dangerous place. Clearly, we can't depend upon newspapers or even television or radio news to keep us informed. Those models can't turn a profit. They have almost no value. And if Uber is worth $18 billion, what could an app that gathered and aggregated news and information on a second by second basis from a billion sources all over the world all the time be worth?